OXA - CAR C 70 is a liquid alkaline compound based on esters of sugars, condensates of ethylene oxide / propylene on organic amines and scavenging. 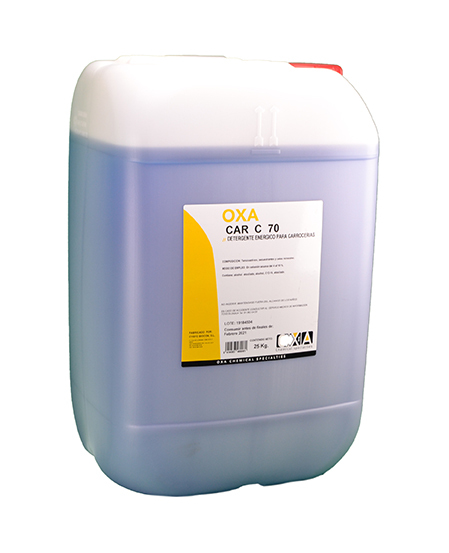 The OXA - CAR C 70 has been specially formulated to work with hard water, due to its sequestration. Being highly emulsifying, wetting, dispersing and penetrating quickly removes dirt from surfaces. Doesn't attacks paints and is not flammable. Completely soluble in water in any proportion.